Innovative & collaborative Council, supportive & fun team, wellbeing programs, monthly ADO & more! Located along the banks of the Yarra and situated just 7kms from Melbourne’s CBD, the City of Stonnington covers a vibrant and diverse municipality including inner city Prahran, South Yarra, Windsor, and the leafy green suburbs of Armadale, Malvern and Toorak. Stonnington has an enviable record as an innovative and progressive Council, striving on making a positive difference to those in the municipality. Be part of that positive difference as an Environmental Education Officer within our cohesive and creative Sustainable Environment Management unit, located at the Stonnington Depot. As part of this team, you’ll identify, develop and implement environmental programs and events for both Council staff and the wider community to achieve the objectives of Council’s Sustainable Environment Strategy. You’ll also lead the development and delivery of the Sustainable Schools and Sustainability in Early Education programs, supporting schools and early learning centres to integrate sustainability into the curriculum. To succeed in this position, you’ll need strong communication skills to present to a diverse range of audiences, develop engaging communication materials and liaise with a range of stakeholders including school students, community groups and local businesses. With knowledge of the Australian Curriculum, school operations and theories of behavioural change, you’ll have the demonstrated ability to implement behavioural change programs within various sectors of the community. Additionally, you’ll have great customer service skills to service Council and the community and have the ability to positively contribute to this fun and supportive team. 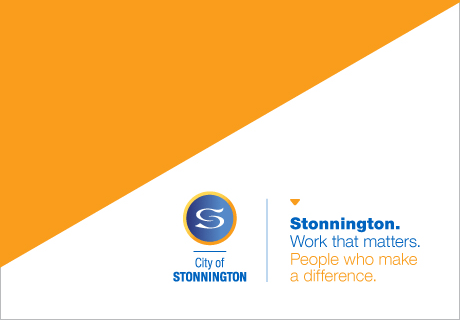 The City of Stonnington has a strong commitment to providing a culture where employee health, wellbeing and development are a priority. As well as regular learning and development opportunities, you’ll also have access to some fantastic benefits including participation in our award nominated Wellbeing Program with discounted gym and aquatic memberships, regular health checks and exercise programs, wellbeing events and more! Additionally you’ll have a work life balance, receive annual leave loading, a monthly accrued day off, priority access to Council managed childcare facilities and maternal child health and immunisation services and work for an organisation with a dedicated Green Team. For position related queries, please contact Jane Spence on Ph: 82902061.